Ships today if you order in the next 5 hours 20 minutes. 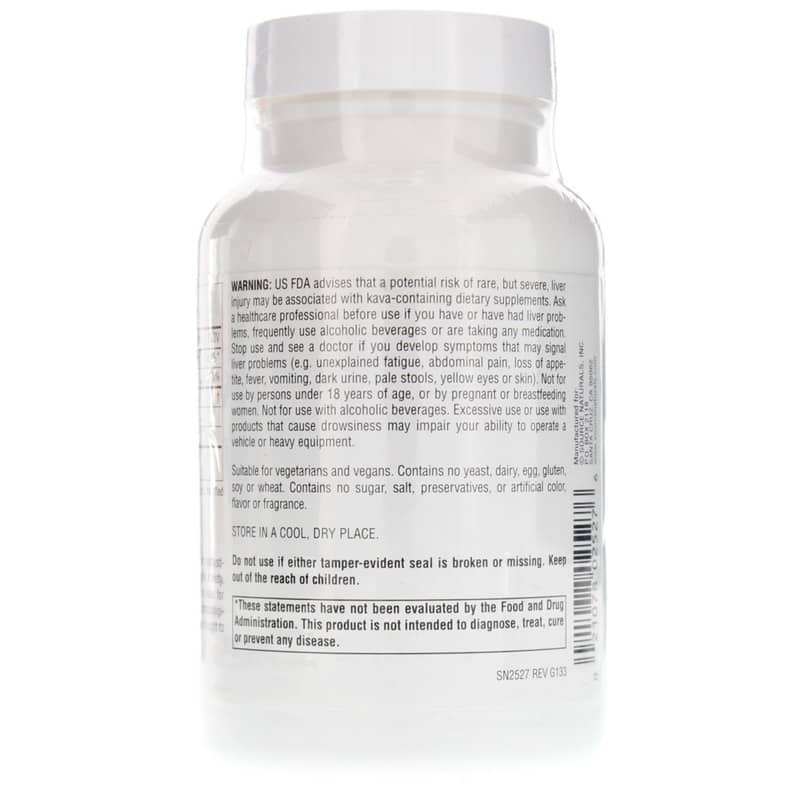 This supplement is derived from the roots of a special plant in the pepper family that can only be found in the South Pacific. People in island nations such as New Guinea and Hawaii have been using Kava for hundreds of years. It's important to note that there is a rare, but potentially severe risk of liver damage associated with kava. For that reason, those with liver problems should consult a healthcare professional before use. We all go through periods of life when stress and anxiety seem overwhelming. When used as directed, Kava may be able to help you find some peace of mind. 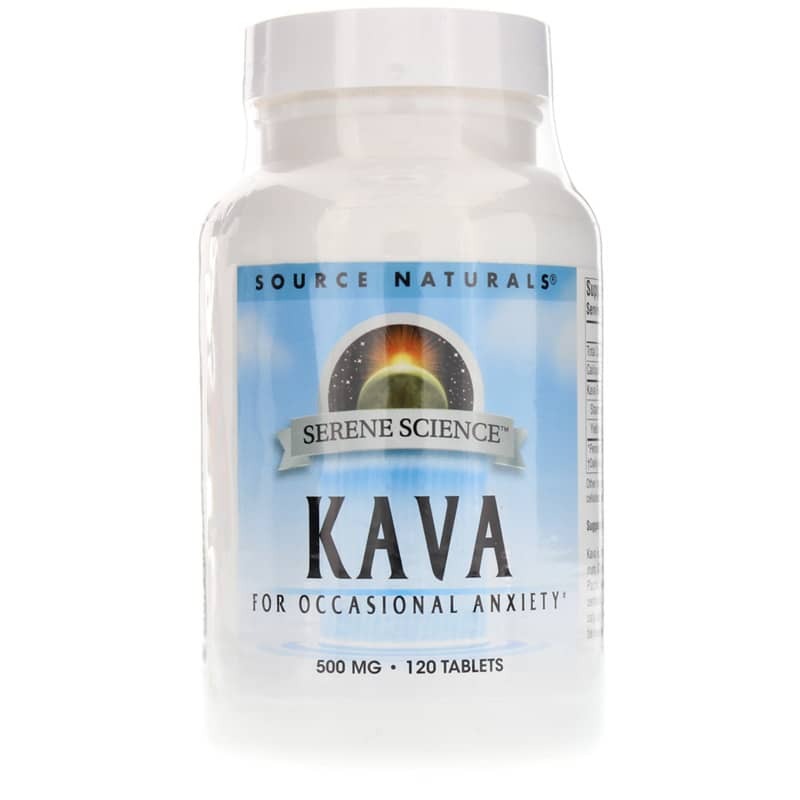 Try Kava from Source Naturals and discover all-natural support for a more tranquil mood. Contains NO: yeast, dairy, egg, gluten, soy, wheat, sugar, salt, preservatives or artificial color, flavor or fragrance. 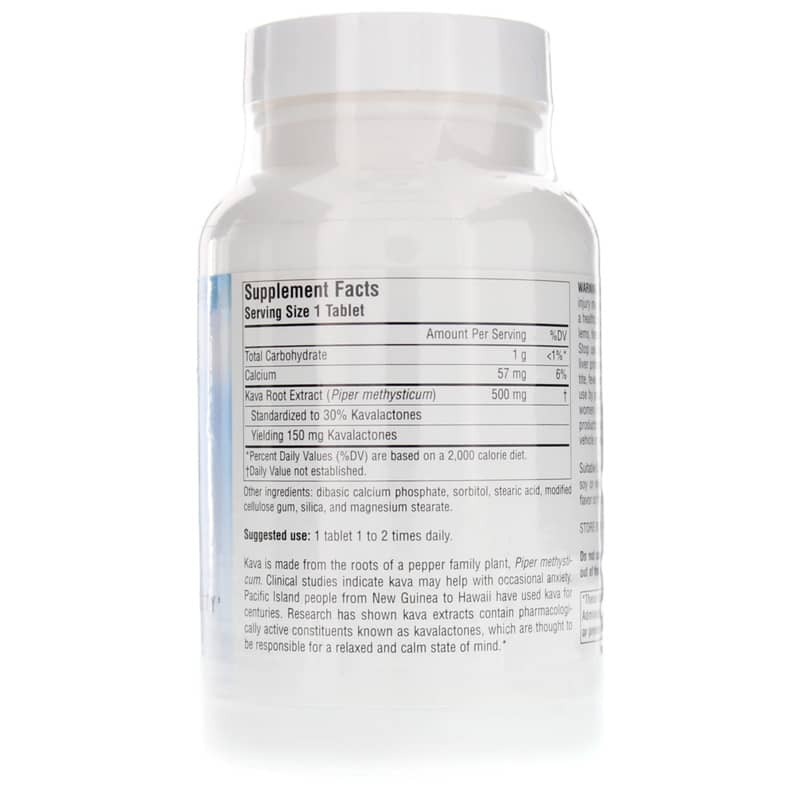 Adults: 1 tablet 1 to 2 times daily. US FDA advises that a potential risk of rare, but severe, liver injury may be associated with kava-containing dietary supplements. Ask a healthcare professional before use if you have or have had liver problems, frequently use alcoholic beverages or are taking any medication. Stop use and see a doctor if you develop symptoms that may signal liver problems (e.g., unexplained fatigue, abdominal pain, loss of appetite, fever, vomiting, dark urine, pale stools, yellow eyes or skin). Not for use by persons under 18 years of age, or by pregnant or breastfeeding women. Not for use with alcoholic beverages. Excessive use or use with products that cause drowsiness may impair your ability to operate a vehicle or heavy equipment. Do not use if either tamper-evident seal is broken or missing. Keep out of the reach of children. This site has comparison brands to choose from giving plenty of options. I really liked that.